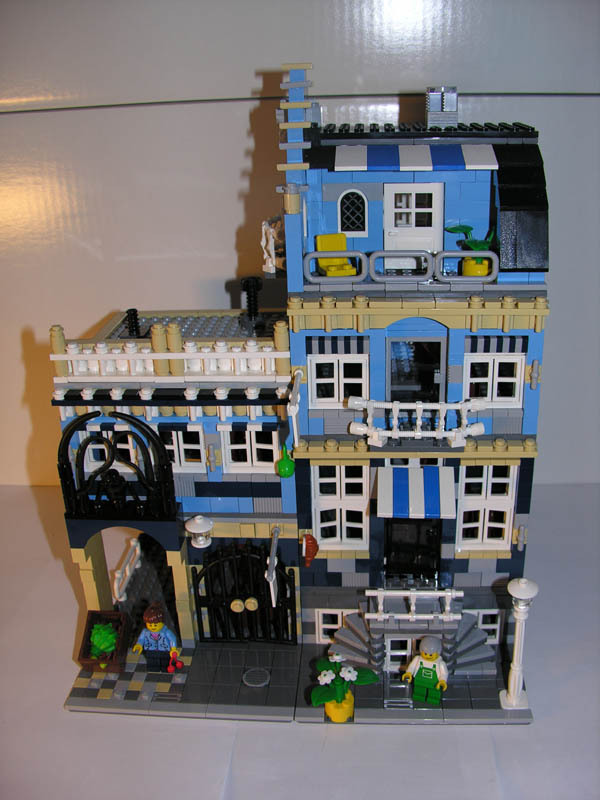 Brick Town Talk: KC's Market Street MOD - LEGO Town, Architecture, Building Tips, Inspiration Ideas, and more! This is one of the first and best Maket Street add-ons I've seen so far. I always thought the market section of market street felt a little sparse. This is perfect. One of the "problems" with that market section is that the black thing above the arch is hiding the left part of the upper floor. No doubt that the market street does look a lot better with and extra module! Thanks for the comment i'll try to post that later.